A couple weeks ago, I purchased Soul Piece Labs’ special fukubukuro, or lucky bag, which they were offering in limited quantities to celebrate their first year. In Japan, companies often sell fukubukuro in the new year as a way to get rid of old stock, giving fans the opportunity to grab a bunch of random items for a heavily discounted price. Soul Piece Labs’ fukubukuro was $35, and contained 3 random pins of varying quality (some have scratches and other imprefections, but they’re barely noticeable! ), a Soul Piece Labs logo tote bag, and a bunch of goodies from the owner’s recent trip to Japan. But before I share what else in my fukubukuro, I wanted to showcase the gorgeous pins! I was thrilled to get one of the pins in their Sakurafuda set, because I love it so much I’ve already purchased one myself! 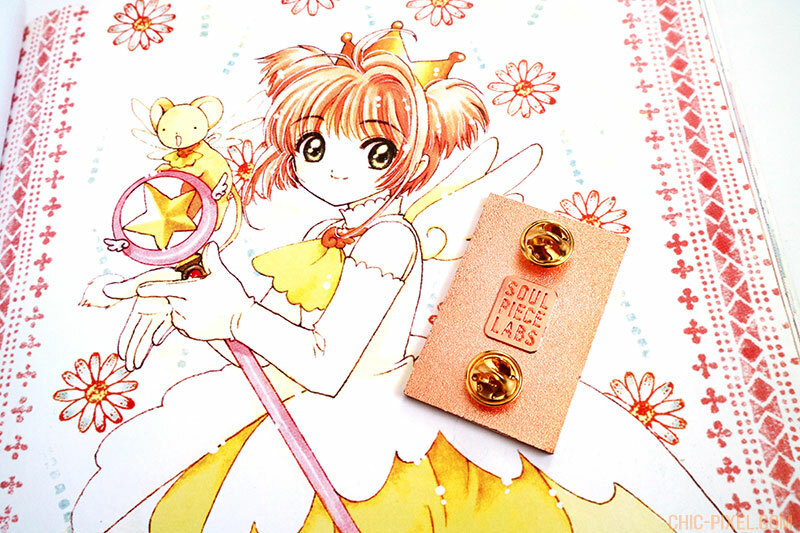 The pin I previously bought is the Clow Poetry hanafuda card in rose copper, so this Star Wand pin in rose copper goes perfectly with it! I love how they even put their logo on the back – it’s a neat detail that not all artists do. As you can see, the pin is actually quite big, and has two pin backs instead of the usual one. 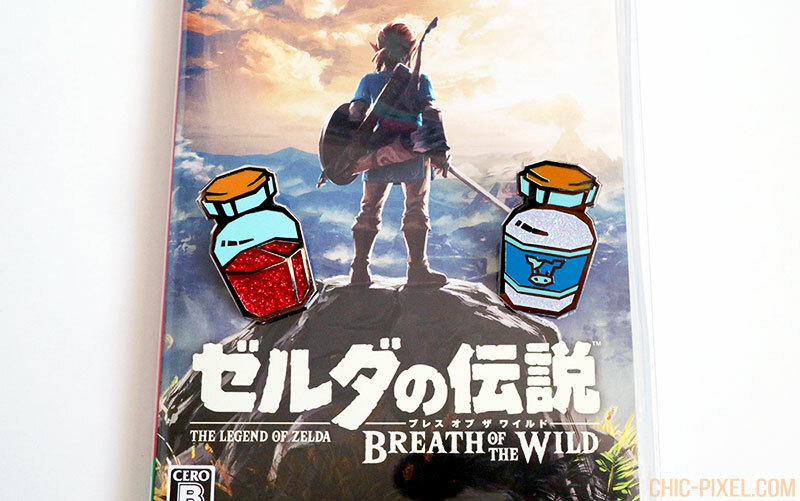 I also got two The Legend of Zelda pins, which is perfect because I’ve been obsessed with The Legend of Zelda: Breath of the Wild lately! The pin on the left is a bottle of power, and the pin on the right is Lon Lon Milk. The “liquid” in both is sparkly, which is such a cool touch! 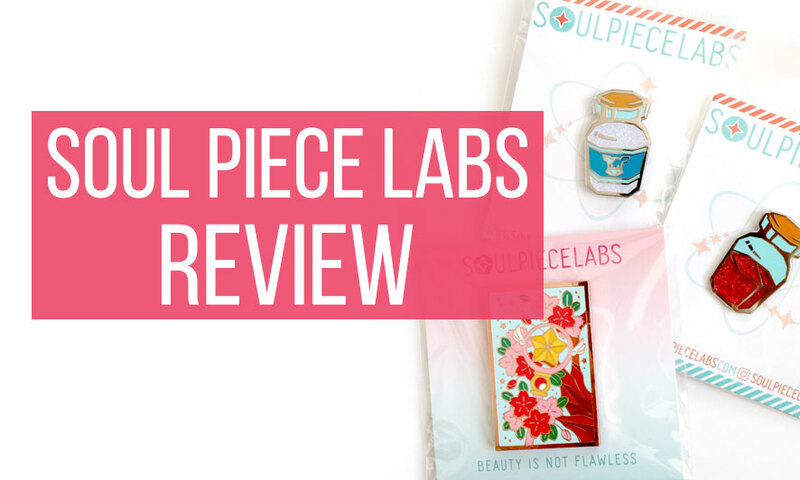 If it’s not clear already, I’m a huge fan of Soul Piece Labs’ work. Their pins are extremely high quality and come packaged with lots of care. The owner even includes a little doodle and hand-written message with every purchase! If you’re a fan of Sailor Moon, they also have some awesome Sailor Moon-inspired pins, stickers, and free wallpapers for your phone! Now, watch my fukubukuro unboxing video to see everything I got in addition to the pins! 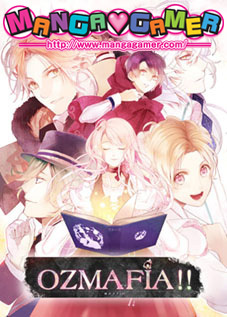 Unfortunately, the fukubukuro are no longer available, but Soul Piece Labs is giving Chic Pixel readers 10% off their entire purchase until the end of February! Just enter the code WELOVECHICPIXEL at checkout from now until February 28th. 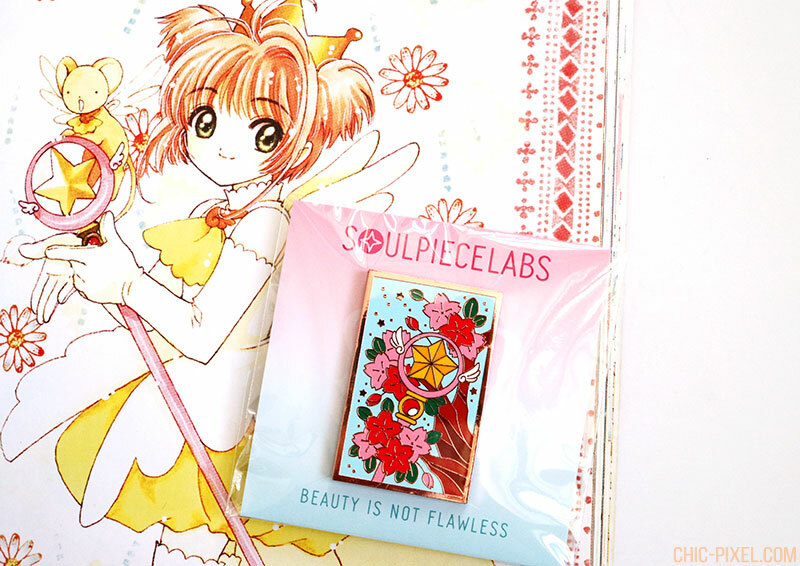 Their pins would make perfect Valentine’s Day gifts for the fashionable video game or anime fan in your life! Plus, all domestic orders over $25 and all international orders over $35 get free shipping, and as someone who lives outside of the US, I know international shipping charges can often cost more than the cost of the pins themselves. 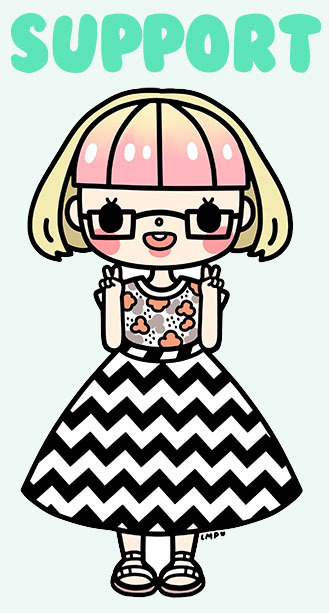 It’s a great excuse to stock up on some adorable designs for you and your friends! Note: All items in this post were purchased by me. Impressions, as always, are my honest opinion of the products.